With the paw-friendly softer surface of trails and endless scents to track, there's nothing your dog will love more than a day trotting by your side. But before you head out, make sure your furry friend is properly outfitted for the adventure. You're not the only one who needs the right trail running gear; so does Fido. Here's some of the best canine gear and accessories for the trails. 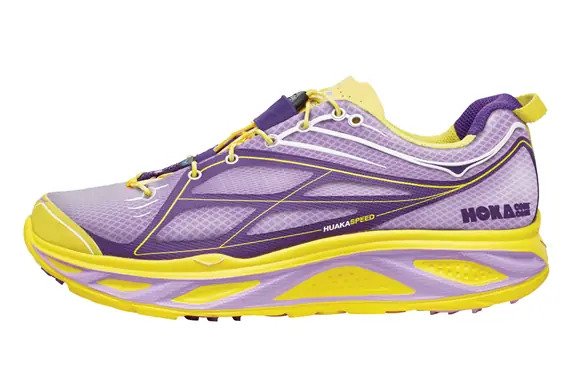 This lightweight pack is a great accessory on longer runs. Slip a collapsible water bowl, poop bags or treats in one of the two side compartments and your dog will be ready to run. With eight adjustment points and an ergonomic padded spine support, it'll remain comfortable during a wide range of activities. This hands-free, adjustable and lightweight leash is a must-have for running with your dog. Comprised of a waist belt and flexible connector to tether you and your dog together, Fido has some leeway to sniff around and explore while running by your side. You may never walk or run again with another leash. The Load Up Harness keeps both you and your dog safe on the ride to and from the trail. It ensures your pup sits securely in his or her seat and provides a restraint in case of an accident. This harness is easy to adjust and comes in a variety of sizes to fit every dog. The heavy-duty Allagash Hammock protects your car seat from a muddy dog after a long day out on the trails. Inspired by whitewater rafting gear, the hammock is made with a durable and waterproof Hydraweave material. 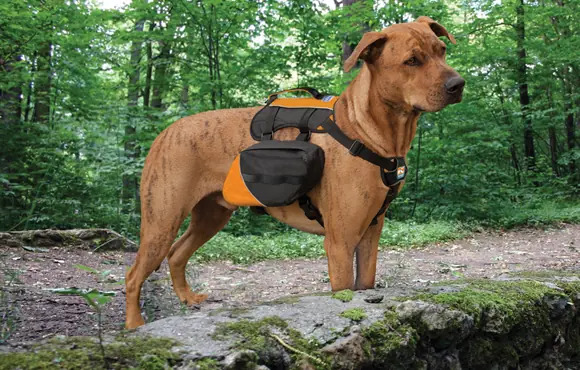 With six attachment spots, it'll stay put even if you have an active canine traveler. Capture some of the most amazing trail footage from a dog's-eye view with the GoPro Fetch Harness. Mount your GoPro to your dog's chest or back and you'll get all the action on film. The Fetch is designed with soft-padded construction to keep your dog comfortable as they bound along the trail. If you think you may encounter some gnarly terrain on your run, outfit your dog with the Summit Trex boots. These will protect paws in extreme temperatures and shield them from abrasive surfaces while providing flexible traction on the run. A dog's nutritional needs are much different than your own. Zuke's super food dog treats are easy to transport to help keep your four-legged friend fueled and ready for action. These soft treats are made with a mix of fruits, vegetables and low-gluten oats, beating the traditional dry variety nutritionally. This BioThane-constructed collar is perfect for the trails in just about any weather. It's waterproof, stink proof and virtually indestructible. It also employs a reflectivity stripe made with 3M Reflective Edgeguard trim so your dog can be seen more than 100 yards away, even in the darkest conditions. This pet organizer provides a storage cube to hold your dog's food, toys and other essentials during a long day in the woods. It includes an interior divider, removable food containers, collapsible water bowls and plenty of pockets. If you're planning significant mileage or you expect warmer temps, be sure to carry the bowl and water on the run.